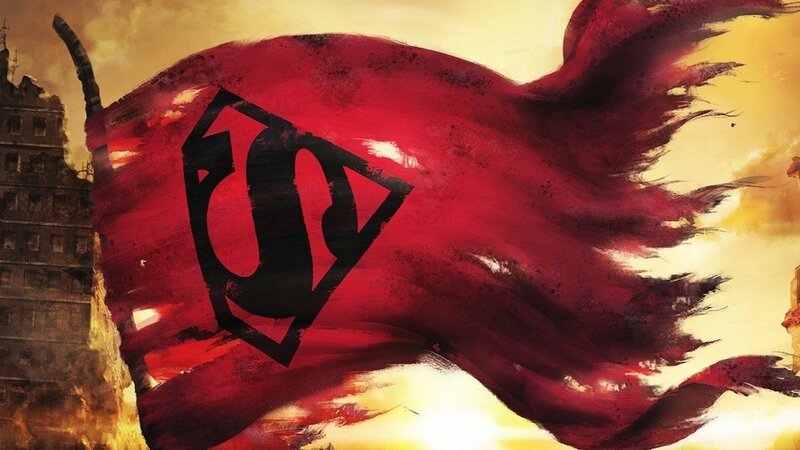 The Death of Superman (2018) Movie Review: One of the better installments in the DC Animated Universe – AiPT! The initial reactions were rightfully cynical. When it was announced that The Death of Superman by Dan Jurgens was getting yet another adaptation, the initial reactions were rightfully cynical as not only was the source material not particularly good, but the story lends itself to a grim tone that would seem off-kilter with what we are used to with Superman (This is exactly what happened with 2016’s Batman v Superman: Dawn of Justice.) I have previously written about people’s fascination over the death of Superman, but let’s see what the 32nd installment in the DC Universe Animated Original Movies has to offer. As both a member of the Justice League and an icon of virtue for the citizens of Metropolis (much to the displeasure of arch-nemesis Lex Luthor), Superman is secretly the mild-mannered reporter Clark Kent. Kent has been in a long-term relationship with co-worker Lois Lane. Struggling with his dual identity, Clark is reluctant to reveal everything about himself, from his alter-ego to his past in general, creating a rift between the two, making Lois reconsider their relationship. Meanwhile, the League investigates a mysterious meteorite that crashes into Earth, revealing a giant monster whose only motivation is to kill everything in sight. As part of the DC Animated Movie Universe, The Death of Superman takes full advantage of this established continuity in how it finds room for characterization. This is seen through Cyborg’s estranged relationship with his father and Wonder Woman who remains a friend with caring advice for her Super ex-boyfriend. This is Superman’s story and much of the film deals with the soap opera of Lois and Clark’s relationship, and more specifically with the depiction of Clark Kent, who is not as clean-cut as normally presented and struggles with his very human emotions. It helps that both of the romantic leads are voiced with warmth and humor by real-life married couple Rebecca Romijn and Jerry O’Connell. However, not all the voice talents blend well with the iconic characters, most notably Rainn Wilson, who sounds very parodic with his sinister dialogue as Lex Luthor. In contrast to the romance, there is the force of nature named Doomsday who is less of a character and is mainly there to provide the slugfest which makes up a good section of the film. The animation is decent, even if the pushing of graphic violence detracts from a possible youthful audience who would like to see some superhero action. With the presence of Doomsday, there are moments of blood-splattering and yet when we get to the climatic fight between Superman and his hulk-ish adversary -which the film slowly builds up to-the hits are impactful. When the eponymous death happens, there is genuine emotion while afterwards the audience is shown what a world continuing without Superman is like. With enough deviation from the comic's storyline, The Death of Superman is one of the better installments in the DC Animated Movie Universe, while also adding anticipation for the continuation of this story with next year's Reign of the Supermen. As part of this recent animated DC Universe, it makes good use of its continuity and characters. Works centrally as a Superman story that delves greatly into the relationship of Lois and Clark. Graphic violence is a recurring problem in these films. Some of the voicework can be very clunky, especially Rainn Wilson as Lex Luthor.